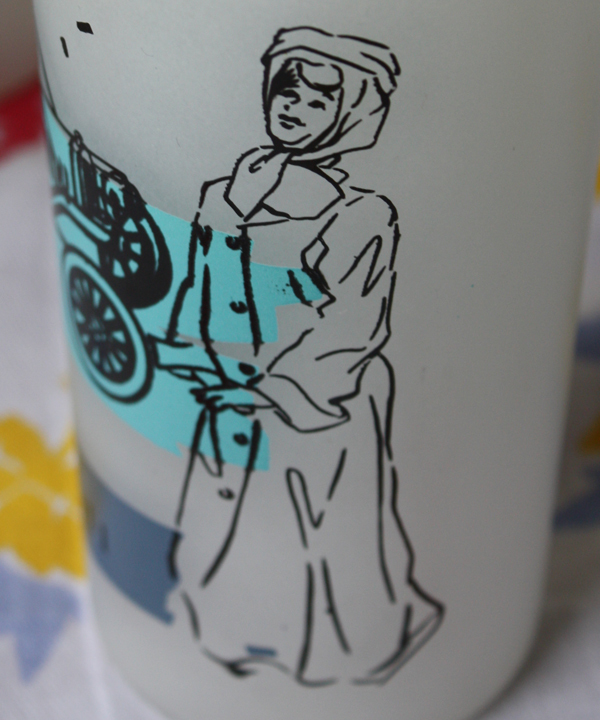 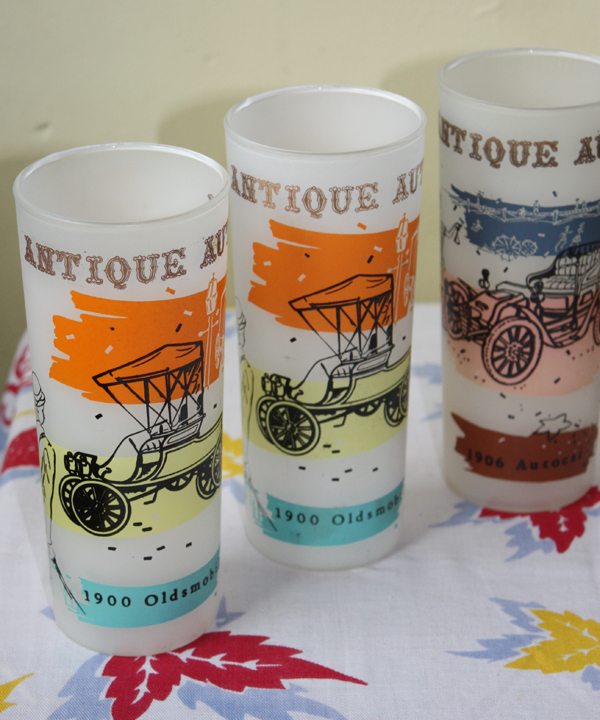 Drink your refreshment from a fun vintage glass. 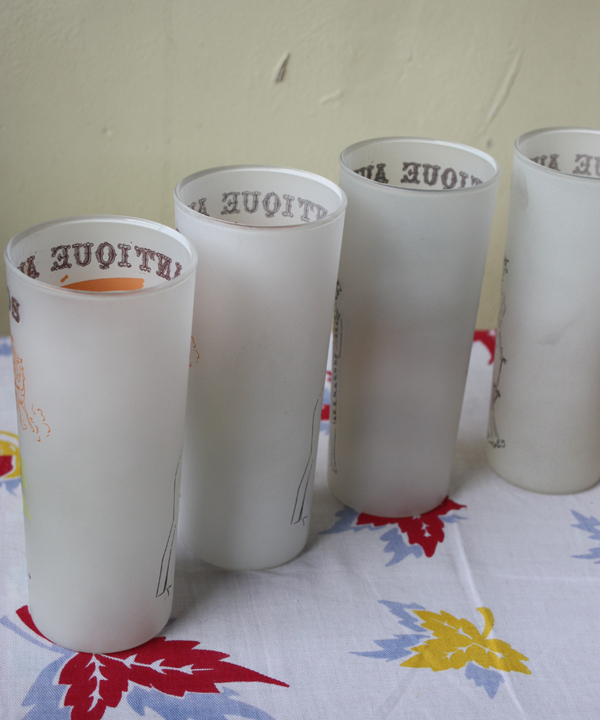 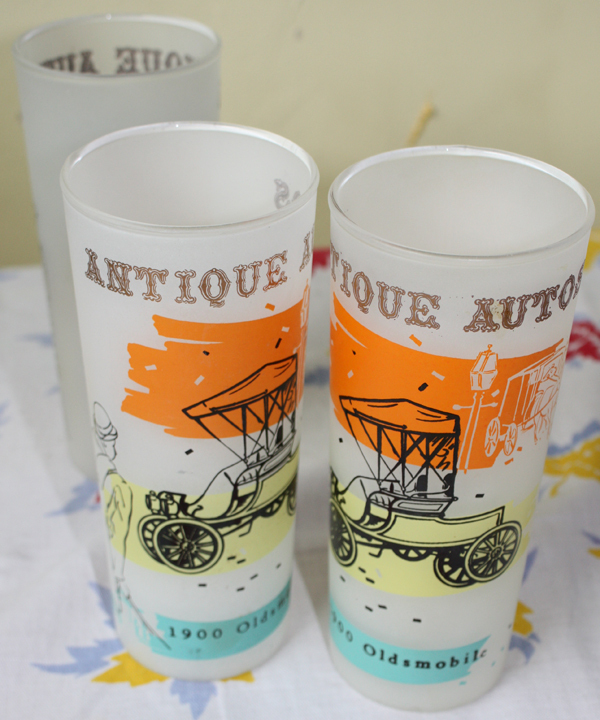 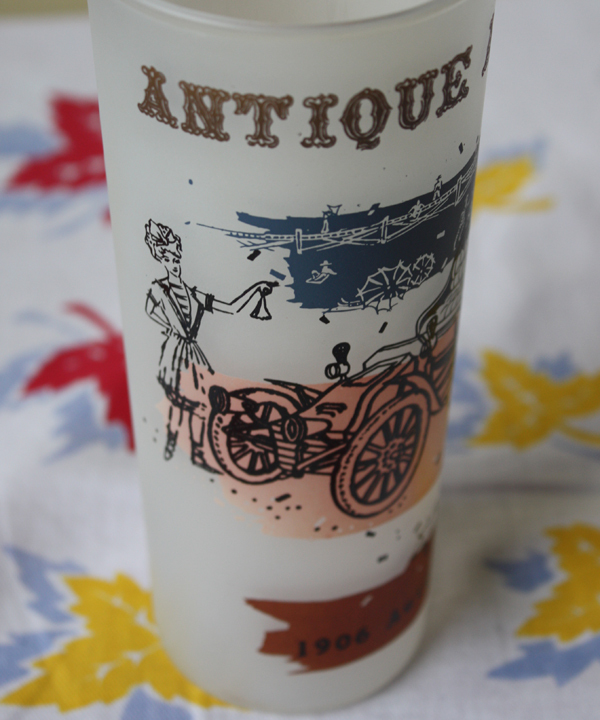 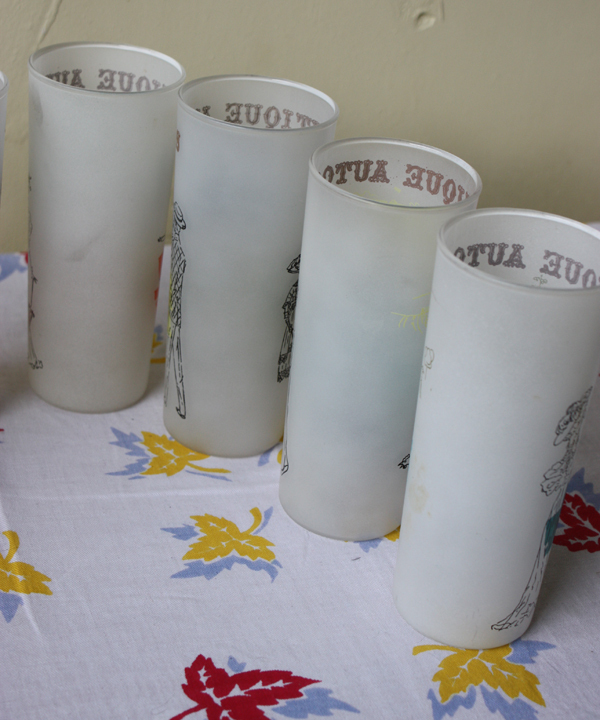 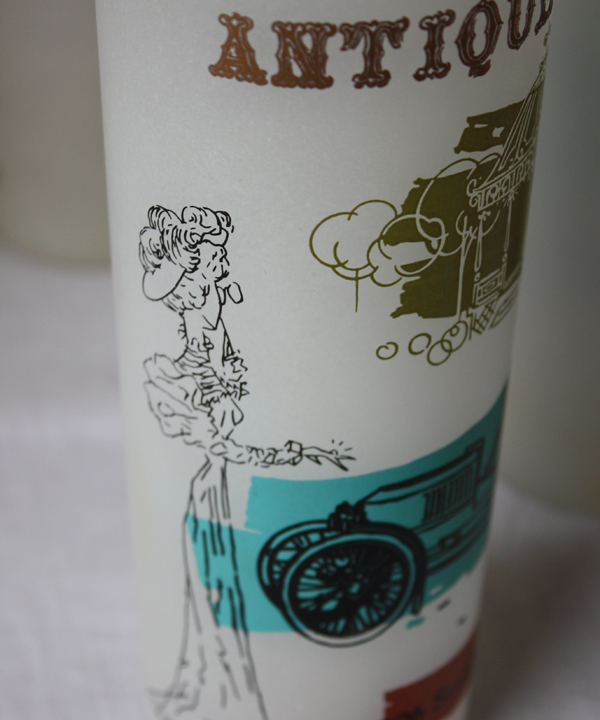 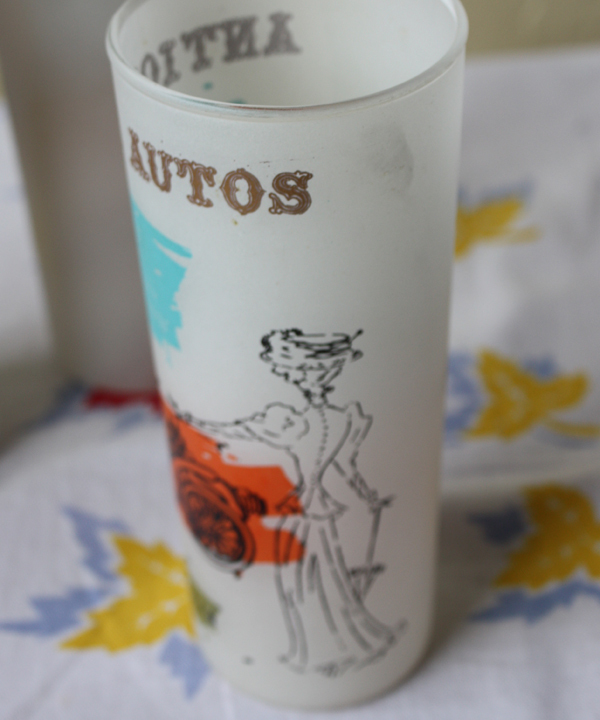 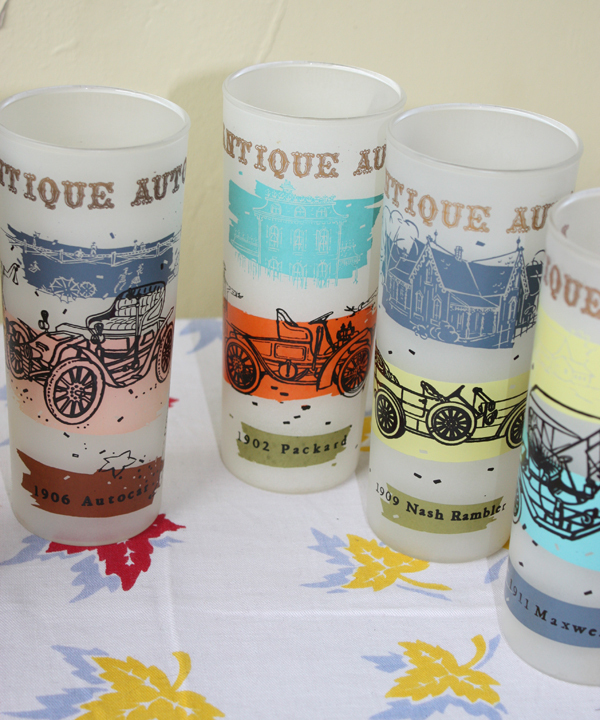 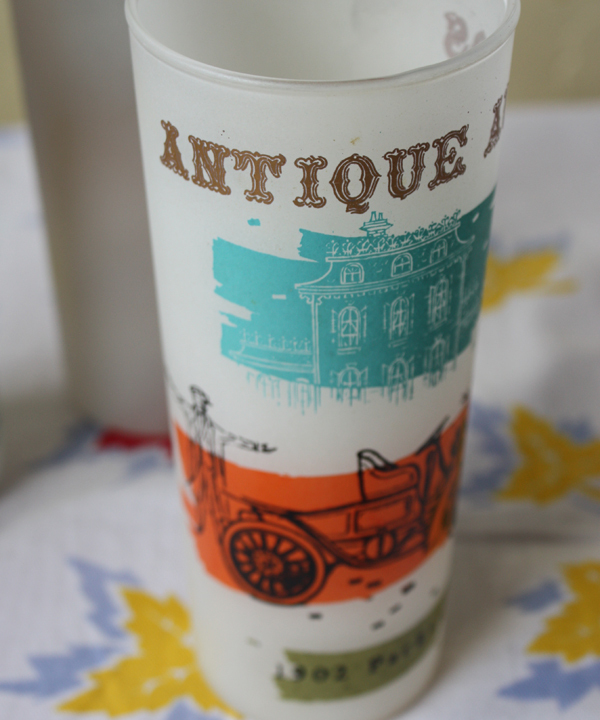 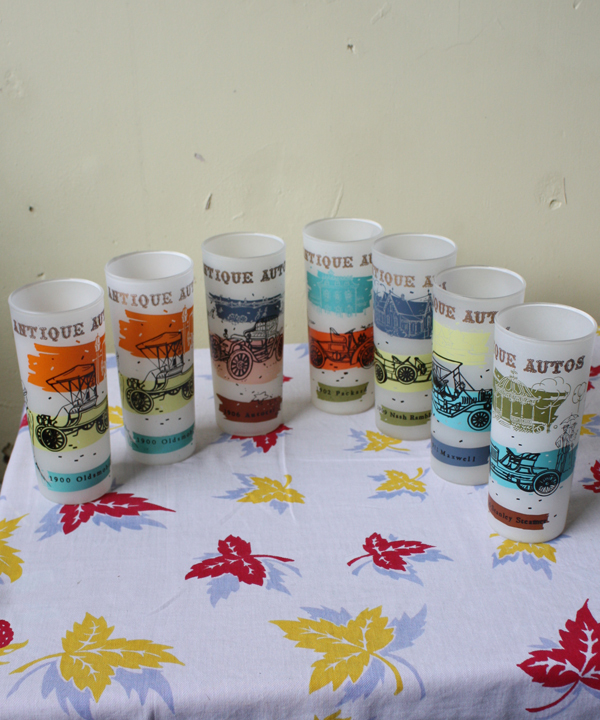 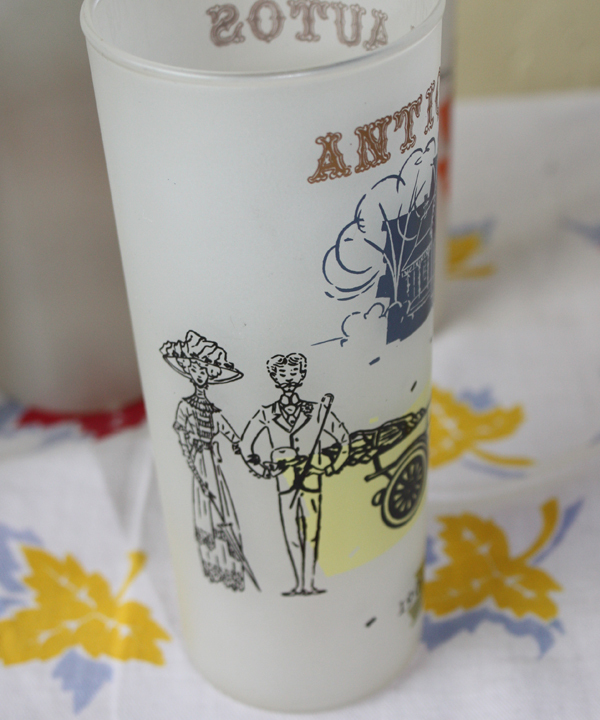 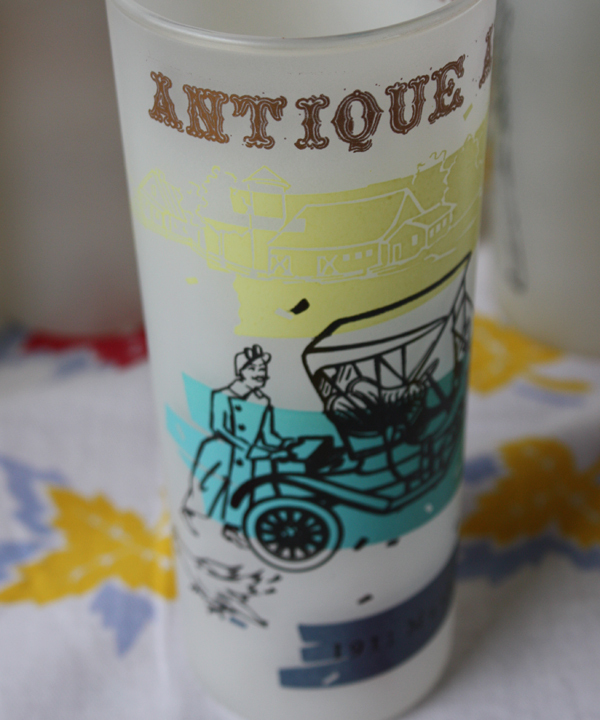 There are seven glasses in this set, all featuring artwork centered around different great antique vehicles. 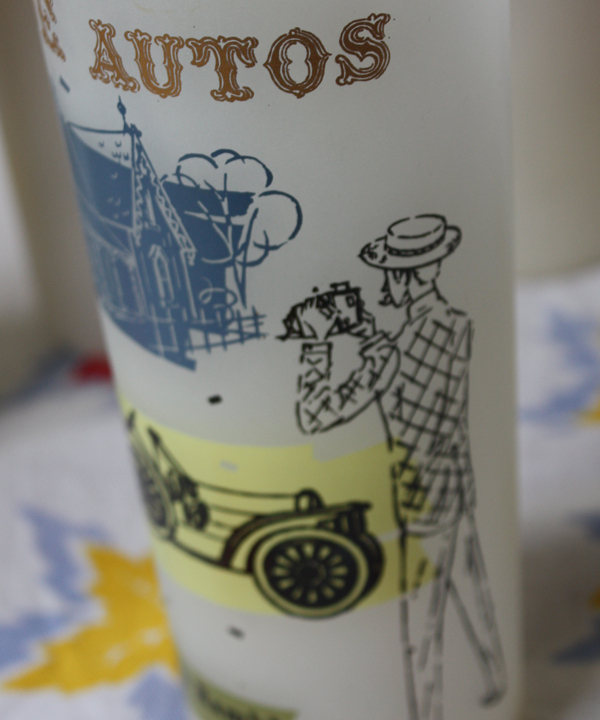 The cars are flanked by people in period costume and a building or scene. 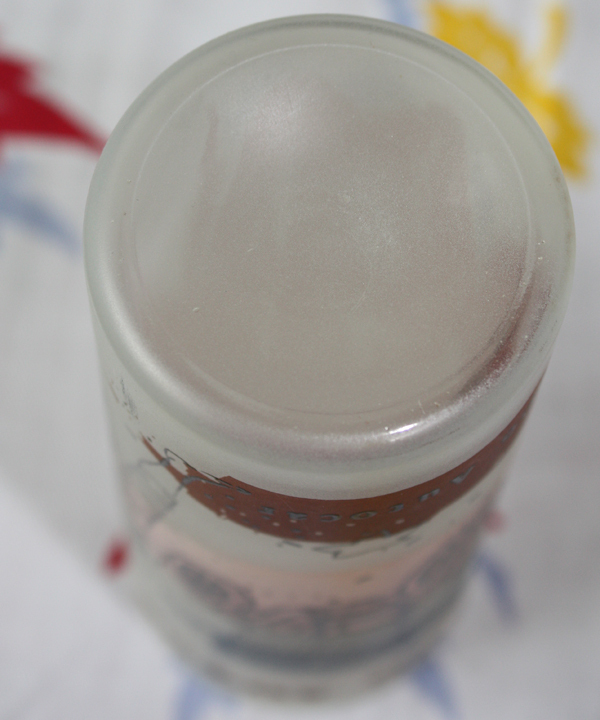 The words at the top are metallic gold. 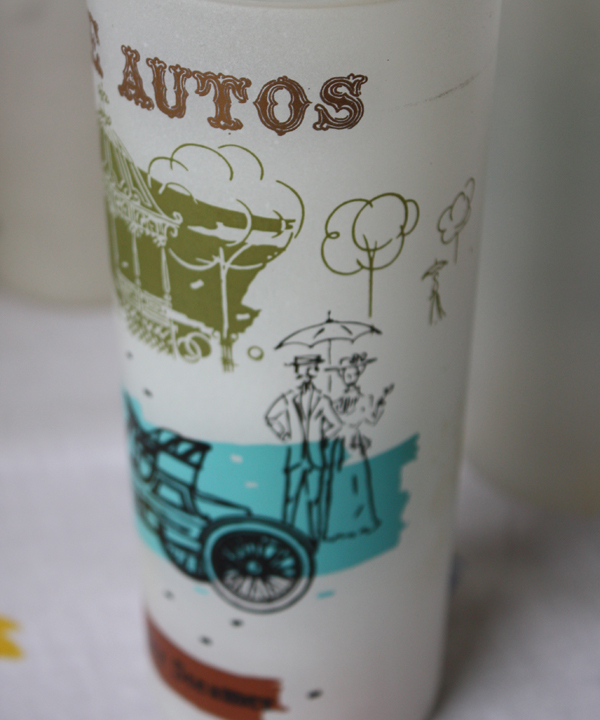 Painterly splashes of color accent the cars and scenes. 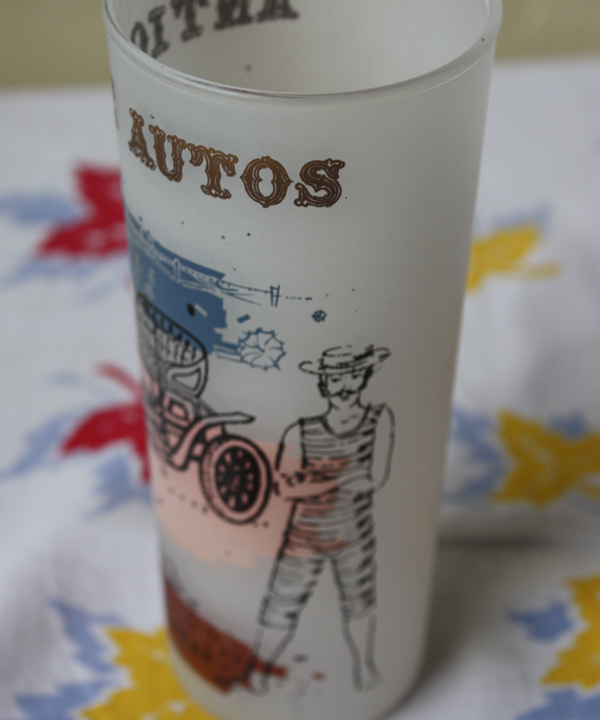 Very Good, no chips in the glass. 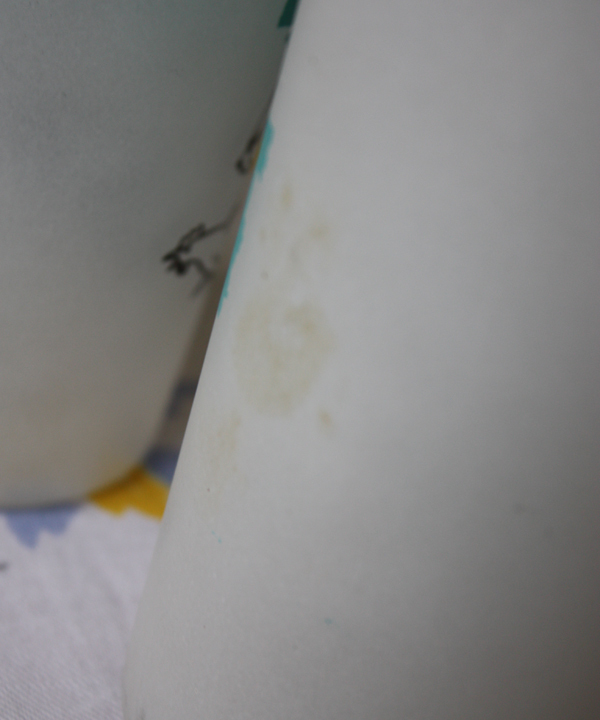 There is a stain in the frost on one, as shown, and some light transfer along one side of another from being wrapped in newspaper.